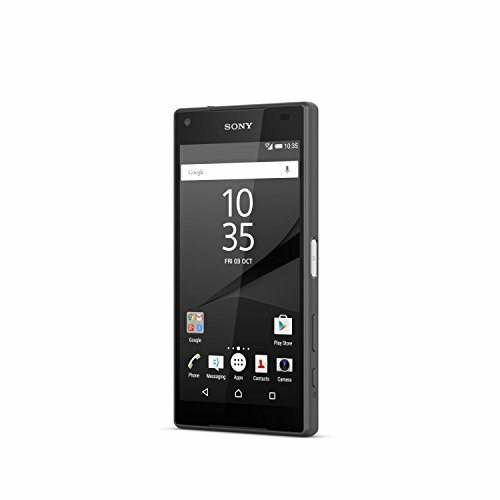 Entertainment leader Sony has a record breaker with the Xperia Compact. Get the best in pictures and videos with the fastest autofocus of all cameras. And you get so much more. 23 MP rear and 5 MP front camera with 1280 X720 resolution. As noted it's the fastest autofocus on the market. Record action pictures and 4K videos with stunning clarity. The screen is 4.6 inches. The operating system is Android 5.1 Lollipop and the processor speed is 2 gigahertz. Internal memory is 32GB but is expandable up to 200GB. This is something to think about. Not all phones allow memory to be expandable to such amount. 128GB is the upper reaches that is standard with most smartphones. Qualcomm's Snapdragon 810 processor helps to deliver top notch performance for running all applications. The battery is lithium-ion and is good for two days when fully charged. Micro USB is the charging port. The Sony Xperia is water resistant to 5 feet and also dust resistant as well.